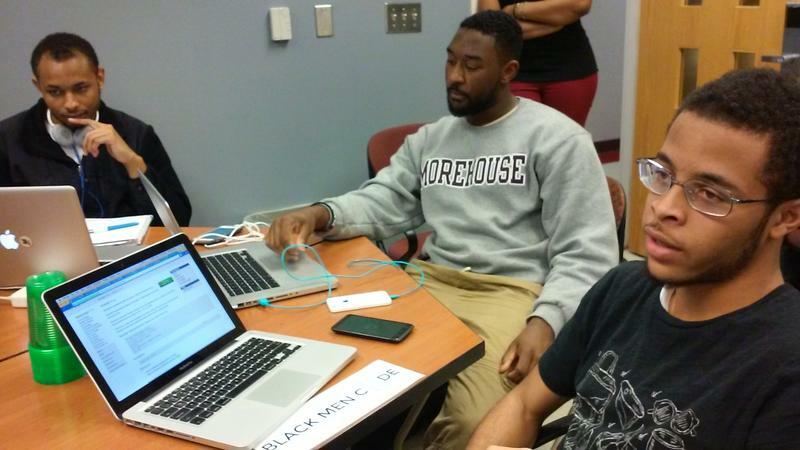 Morehouse College freshmen Philip Rucker, Damon Redding and Tyree Stevenson use a programming language called Python to plot a map of weather stations in the United States. Silicon Valley has a diversity problem: only one percent of technical employees at large tech companies like Facebook, Twitter and Google are African-American. Industry leaders in Atlanta say tech companies here do a little better — partly because there’s a more diverse pool of talent to draw from in the city. But those leaders also say there’s a still a long way to go. Several groups in the Atlanta area are looking to change the picture. Michael Street looks comfortable and relaxed at his alma mater, Morehouse College. In a gray t-shirt and blue jeans, he’s teaching freshmen how to code in a programming language called Python. 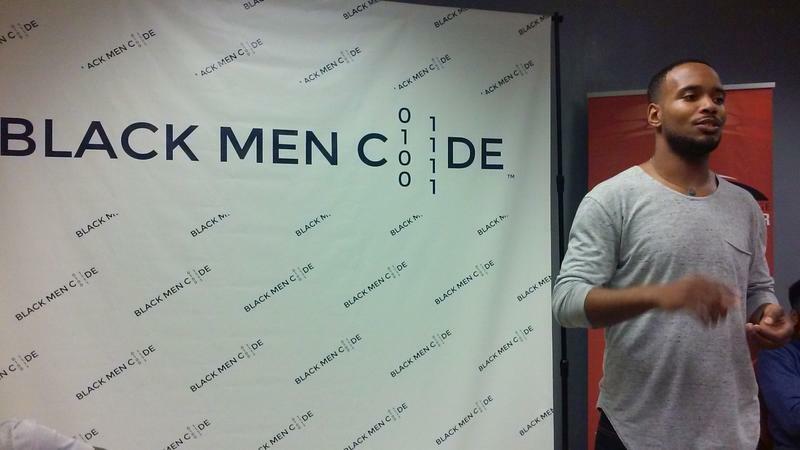 Street is the founder of Black Men Code, a nonprofit that teaches young African-American boys and men computer science skills for free. He challenges students during a recent class to use Python to create a map of weather stations located near 100 buildings in the United States. Students like Morehouse freshman Damon Redding said the group is a place where, as an African-American computer science major, he feels at home. That wasn’t always the case. He attended Heritage High School in Conyers, Georgia. He said he and his African-American peers would discuss technology ideas like creating new mobile apps, but they never knew where to start. 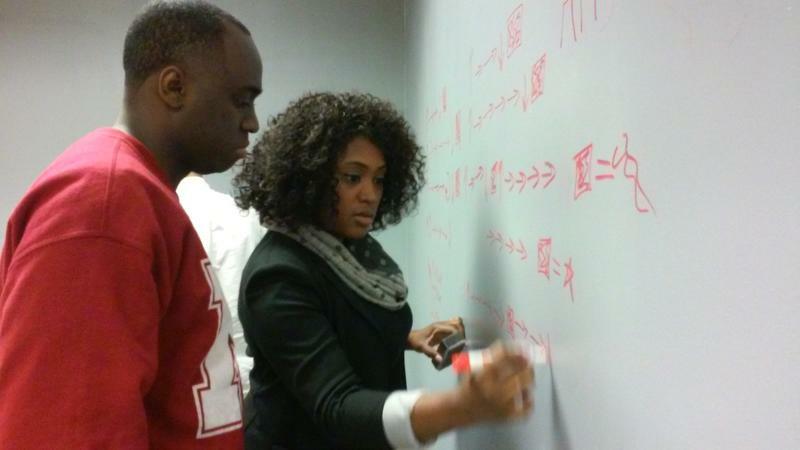 He said Black Men Code helped him realize computer science is for African-Americans too. 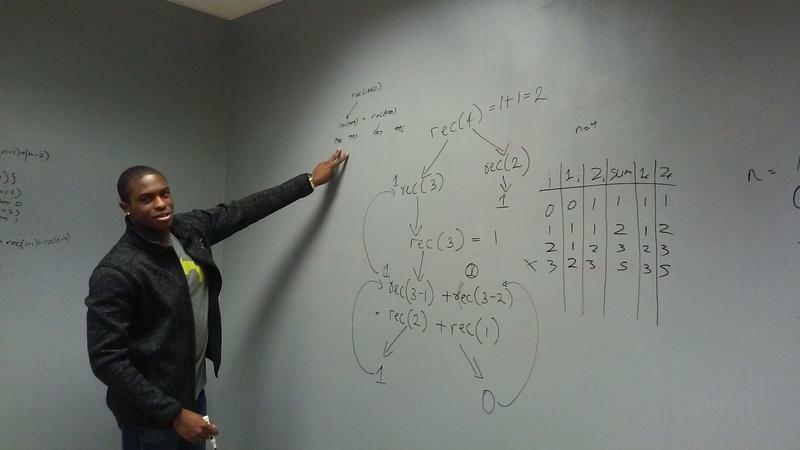 His classmate, Morehouse College freshman Philip Rucker, said one reason there aren’t many African-Americans pursuing coding is that the field can be intimidating for some. There’s more to coding than just the technical skills, however. 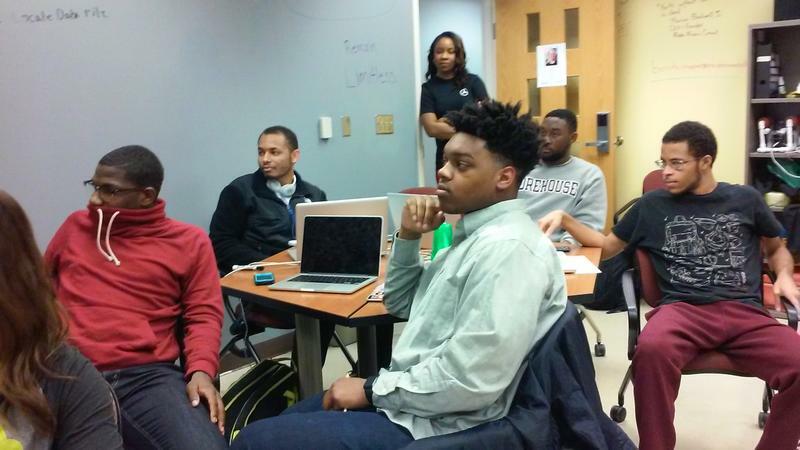 Black Men Code founder Michael Street said African-American students have another challenge once they graduate. They need to figure out how to break through the current tech industry climate. But, Street said, technology companies do realize they can’t keep growing without adding more African-Americans to their boardrooms and IT departments. Pinterest, for example, recently hired its first diversity chief, who is African-American. Finding African-American and Latino tech talent sparked a business idea for Jason Russell. Russell is the founder of a website called Diverse Developer. “If a recruiter is looking for a certain person in this certain area with this certain skillset, they can go on the site and they can search for that person,” Russell said. His site is one of the first in the tech industry where applicants can clearly declare their ethnicity. Companies are not allowed to ask for an applicant’s race during the hiring process, but on Diverse Developer, employers can easily find out without breaking the law. Jaimal Scott is an account manager with TEKSystems, a national IT staffing firm. TEKSystems helps recruit candidates for more than 178 companies in Atlanta. Scott says turnover is common within the IT industry. He says the company’s data shows that most IT professionals change jobs once every 18 months because they’re looking to learn new skills as technology changes and more lucrative opportunities arise. He said employers are focused on an applicant’s technical ability, but also whether they would fit the culture of an organization. He said he doesn’t sit in on interviews and doesn’t have hard data, but has heard feedback from clients of different races explaining that they had different interview experiences. Scott says sometimes minority candidates tell him they weren’t hired because they were told they weren’t a good cultural fit. When that happens, there’s not much he can do. He says more companies, like Atlanta-based Delta Airlines, are asking for more diverse applicants. He said many African-Americans consider Atlanta to be one of the three “African-American Meccas” in the United States, along with Washington, D.C. and Houston, Texas. 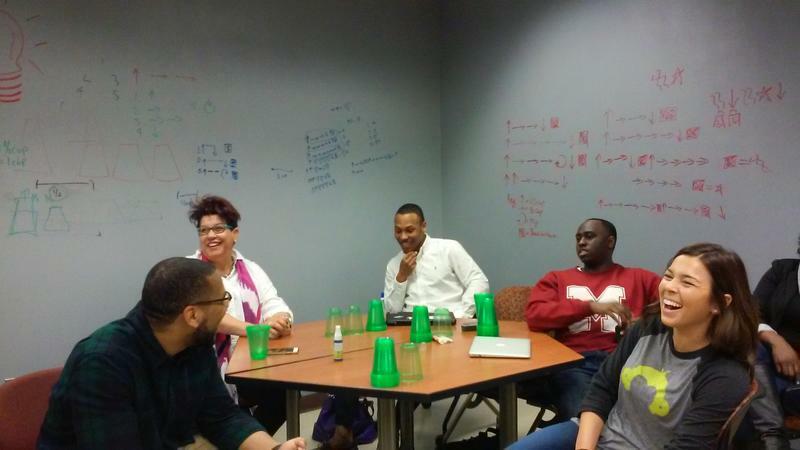 Groups like Technologists of Color also trying to boost those numbers through networking. Members of the group often come up with tech solutions for communities that are being overlooked by larger tech companies. On a recent night at Colony Square in midtown Atlanta, more than 50 people attended a showcase of mobile apps. Events like this are crucial for minorities in particular, especially if they don’t have access to established networks. Jason Russell with Diverse Developer said currently several schools like Stanford, UC Berkeley and MIT act as feeders for tech companies. He said companies looking for diverse talent should look in Atlanta, where there are historically black colleges and universities with strong computer science and engineering programs. Russell said he hasn’t seen much progress on that front, however, and he hopes that will change.